If you are like me and love the Holiday Season, you probably already have your house decorated for Christmas. I am guilty of putting up my decorations as early as possible. I had mine up last weekend. 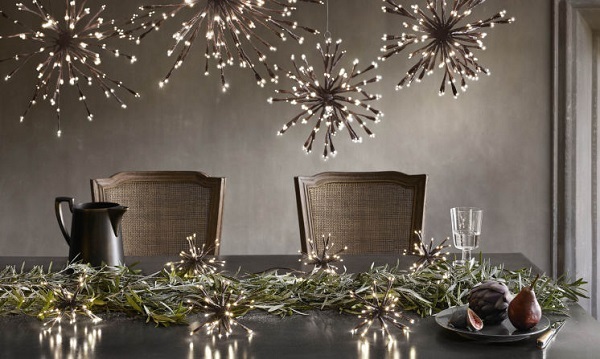 If you need a little help to get you in the holiday spirit or are looking for some inspiration; try out these fun and festive decorating ideas. Need ideas for entertaining this season? The Holidays are all about spending time with your friends and family. December is usually filled with many gatherings that include good food and drinks, lots of festive decorations and great company. What’s hot in home decor this season? There are so many unique and stylish ways that you can refresh your home this fall. Why not incorporate one or two of these hot interior decorating trends in your home. In this month of September, The Colour Marketing Group is celebrating the colour “Etnico”! Have you ever considered hiring an interior decorator to help decorate your home? A lot of people may think it is easy to completely redecorate their home. But – once you actually start the process, you may realize it is a lot more work that you anticipated. Do these two items go together? Is this sofa going to fit? Decorating your daughter’s bedroom may seem like an impossible task. Your daughter is no longer a little girl, but she is not quite a teenage just yet! Plus you no longer are interested in decorating using pink and purple that is found in every girl’s bedroom. You are looking for something different. A girls’ bedroom is her own oasis, a place that she can escape and is her space. The décor needs to reflect your daughter’s personality and at the same time provide a sense of personal space. The best part about decorating a girl’s bedroom is that anything goes! The sky’s the limit. That being said, I can see how that can be overwhelming for any parent. There are simply too many options.